Sometimes we need a little encouragement from a friend … a wise word to keep us on track and moving forward. Words are a medium. They are the method by which we communicate. But words have a special ability: they are powerful. They have the ability to build up or tear down. While words are a means, wisdom is a skill. Wisdom is the ability to make good decisions based on knowledge and understanding. That’s why words of wisdom have such power. 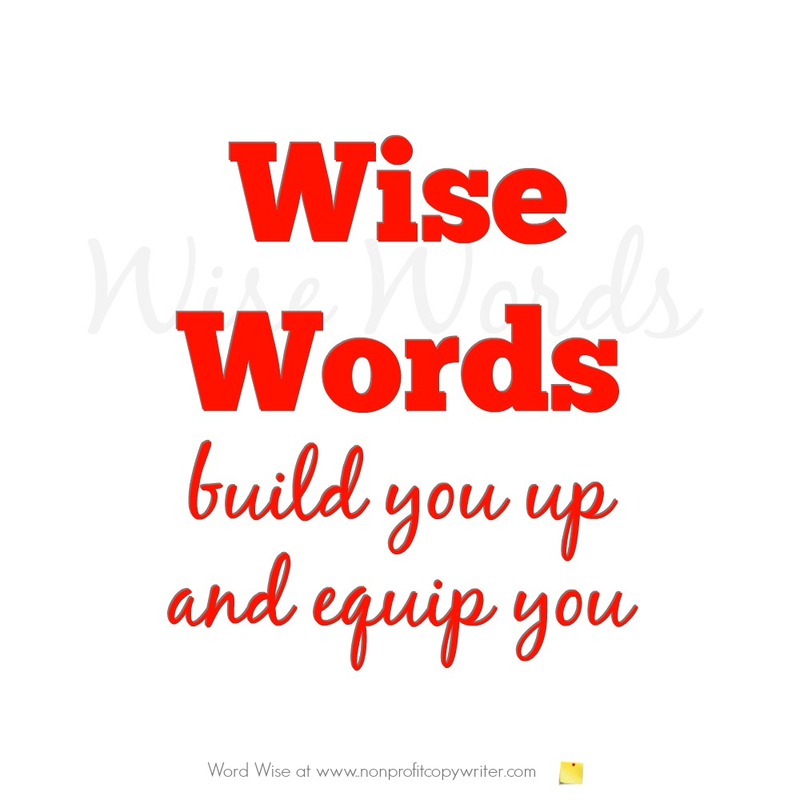 A wise word builds you up, equipping you to apply knowledge with understanding. The quotes you find here are not intended just to cheer you on or inspire you, although we hope they will do that. All of us need motivation. Some of these quotes share wisdom about writing or leading or strategizing. But most importantly, we hope these words will fill you with wisdom … building you up to press forward and continue your good work. We hope you’ll return to these pages when you’re in need of refreshment, encouragement, or insight. And we keep adding to these pages with more "words to the wise" all the time. These words have meant much to us as we have pursued copywriting and leading organizations, churches, and small businesses. We hope they do the same for you. Use them wisely. Nobody reads ads. Or do they? Give me excellence. Not perfection.